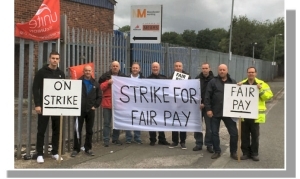 Unite, the UK’s largest construction union, announced today (Monday 3 July) a dramatic escalation in strike action as part of a long running dispute with private contractor Mears and joint venture company Manchester Working (operated by Mears) over pay differentials and attacks on terms and conditions. The 170 plus housing maintenance workers employed by the two organisations will be striking continuously for four weeks from Saturday 8 July to Friday 4 August. Today’s announcement comes as workers take part in the eighteenth day of strike action of the dispute. The decision to escalate the strike action follows a refusal by Mears to find a negotiated settlement through talks to the dispute. Instead the company has sought to undermine the ongoing action, by requiring staff to work on weekends, which is not part of their normal working week. Younger workers have also been directly targeted and bullied by management into breaking the strike. Both Mears and Manchester Working have failed to deal with longstanding problems regarding pay differentials, which results in workers being paid up to £3,500 less than colleagues for undertaking the same work. The dispute also concerns attacks on terms and conditions on the Mears workforce. The company is seeking to introduce a new contract which increases hours, introduces flexible working and requires the greater use of technology. Mears is also seeking to introduce a ‘productivity procedure’ which has been described as a ‘sackers charter’ and is pressurising the workforce to accept poorer conditions regarding sick pay and vehicle policies. The increased industrial action will in particular affect social housing tenants in the north of Manchester whose properties are managed by Northwards housing association and where Mears undertakes the maintenance, repairs and refurbishment programme. 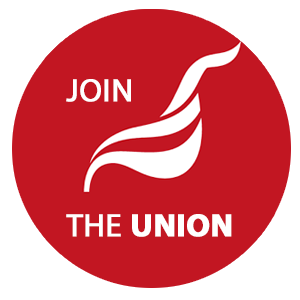 Unite is warning tenants to be vigilant during the period when workers are on all out strike as it is thought likely that Mears will use an increased number of sub-contractors. Under the company’s own policies, all sub-contractors should be wearing Mears branded clothing and should have been Disclosure and Barring Service (DBS) checked. For their own protection tenants should only allow workers access if they meet these requirements. Mr Fisher added: “Inevitably the escalation in action is going to have serious consequences for tenants; while this will lead to a delay in repairs and maintenance work I hope that they recognise that this is entirely the making of Mears. The industrial action began on Monday 15 May and since that date workers have been taking part in a rolling series of strikes, which occur on Monday, Thursday and Friday of each week. Once the all-out stoppage concludes the rolling strikes will be reinstated. Unite housing workers LE1111 branch has sent full solidarity to the strikers and we have given a donation to the strike fund.